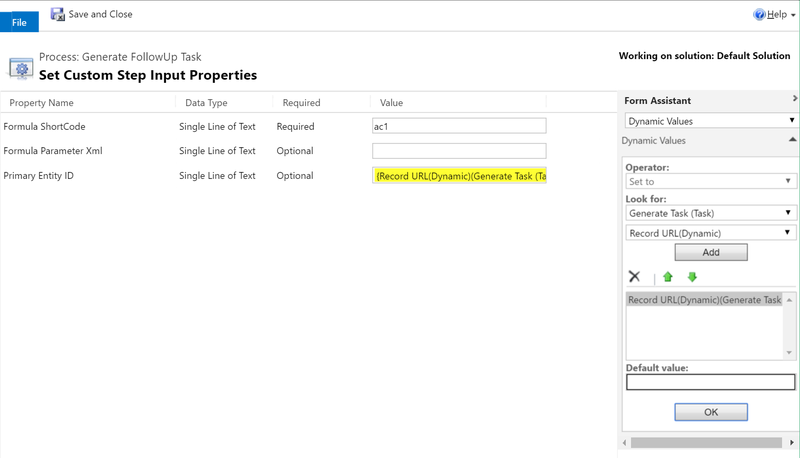 Quick Tip 1 : This is an example of how to "context switch" in a Process Genie by using the Primary Entity ID parameter of the Process Genie workflow step. Click inside the Input Date field. 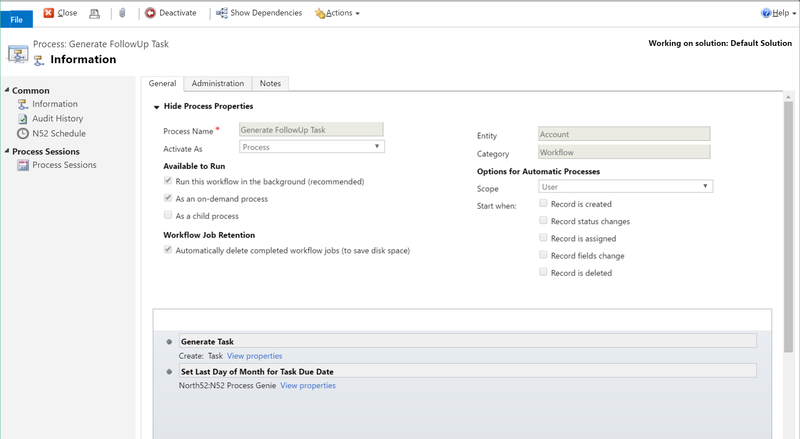 We are going to add a function to return Today's date rather than use a date field from the Task entity. 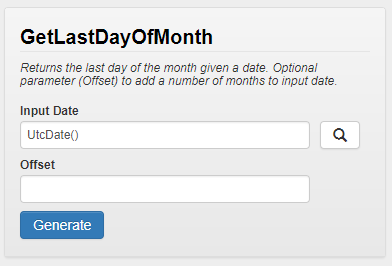 Please see below the wizard you can use to create the GetLastDayOfMonth() function call used in this formula. Note: For Input Date , you will need to type UtcDate() or use the Function tab to select the UtcDate function.